We were able to get some pictures at the Airfield today for Powered Flight. What have we learned today at the Airfield, apparently this picture sums up the Flight Team. 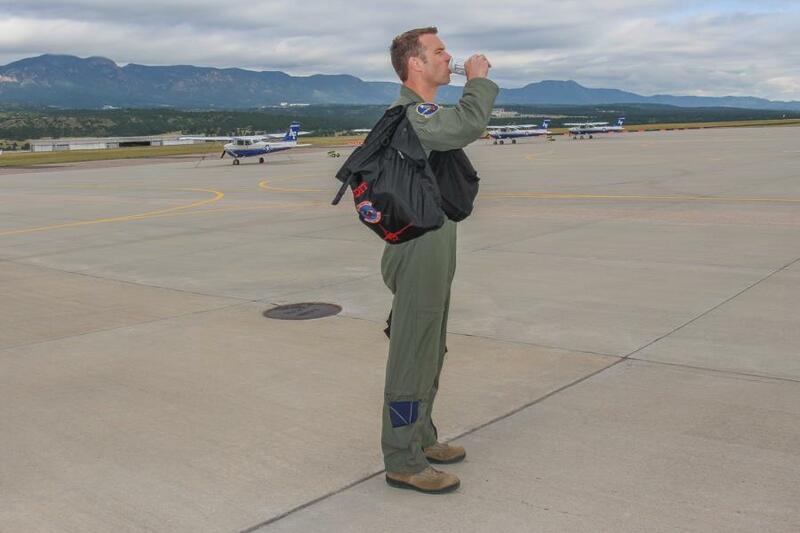 Flight suit, Monster drink and that beautiful mountain background. We were also able to see some Cadets in class for Powered Flight as well. 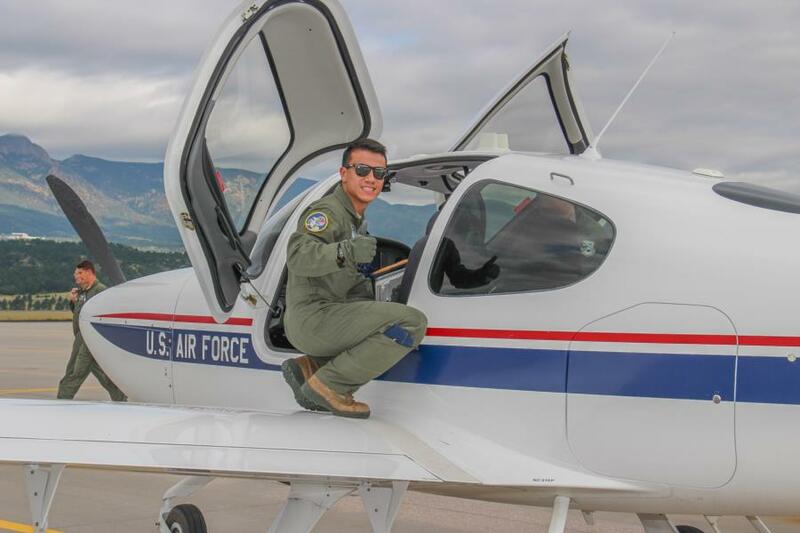 Each Cadet has a total of nine instructor accompanied flights before they are able pilot the aircraft solo! Some of the Cadets photographed today are already halfway there. How exciting! To view the pictures go to the Airmanship Gallery for Powered Flight coverage today!